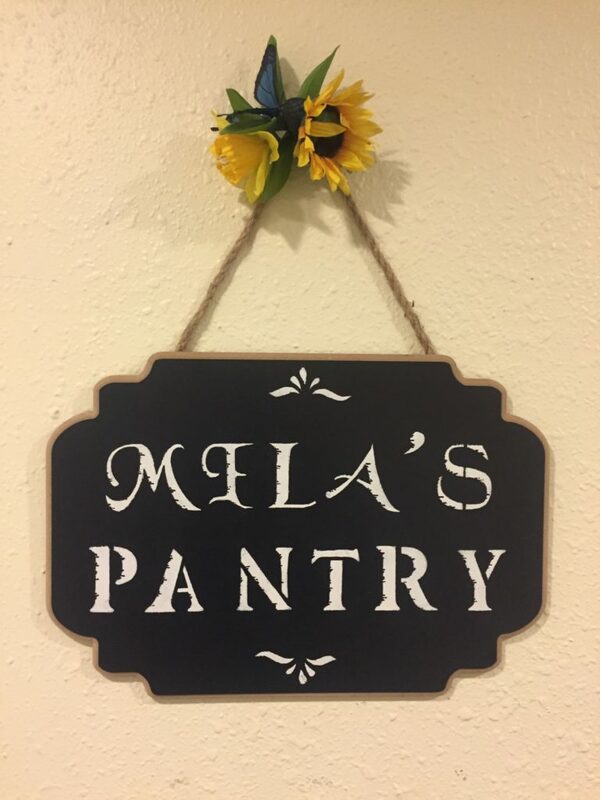 Our newly remodeled food bank, “Mela’s Pantry” is named in honor of our founder, Mela Rudolph. It is the cornerstone of our services. When people are facing financial difficulty, receiving a week’s worth of groceries makes a significant difference. Clients “shop” for the groceries and supplies that they need and want. We provide three meals a day (plus snacks!) for each family member for at least a week. We also supply household supplies, toiletries, diapers, sanitary supplies for women and seniors and even pet food. Additionally, every month we conduct three off-site food banks at low-income senior housing units in Castle Rock. 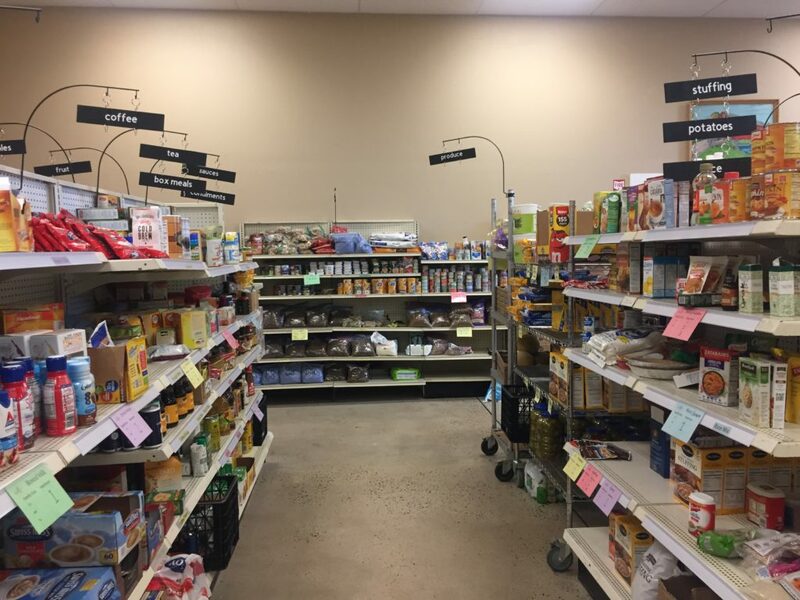 Through our association with Food Bank of the Rockies, we are able to purchase groceries at a significantly discounted price. We also receive donated items from generous grocery stores and restaurants in the area. 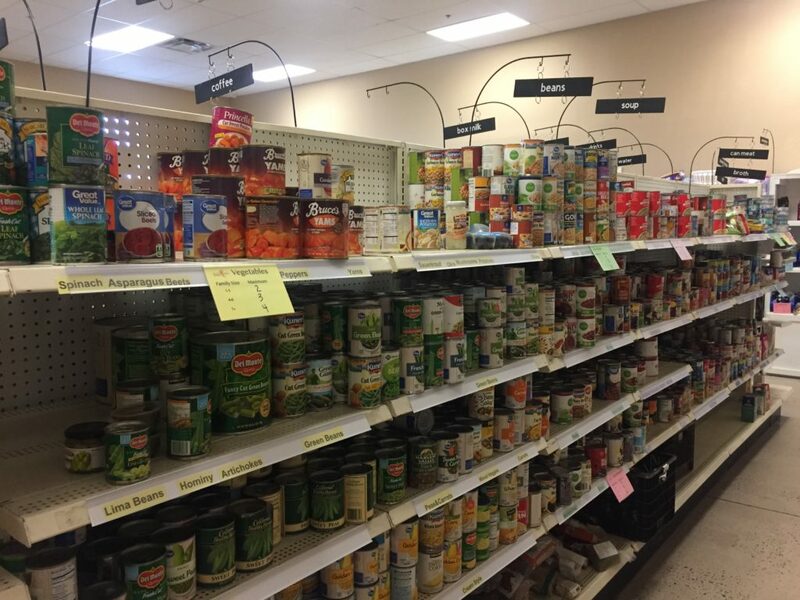 Many community organizations, churches, clubs, businesses, schools, and even families hold food & toiletry drives throughout the year that help keep our shelves stocked. We are so grateful for that kind of support! If you would be interested in holding a food and/or toiletry drive, please email Marion Dahlem so that we can let you know what items we need. Often, we need toiletries, diapers or other household items in addition to groceries. You can also help by donating cash. For every $1 donated, our food bank can provide groceries for 4 meals. A donation of just $21 will help us provide a week’s worth of groceries for a family of 4!